A cream is just a cream, right? Hardly! 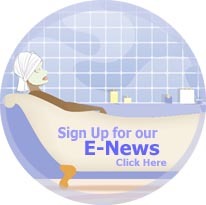 The skin care market is difficult to navigate as a consumer. That fact need not be explained, but for the sake of starting this article in the right direction it is useful. For instance, if you read a claim that said something like this ‘You don’t want any chemicals on your body, they are bad for your health, most of them are toxic?you’d feel a bit uneasy, to say the very least. If you read something else that said ‘Our state-of-the-art research facility has created a miraculous wrinkle-eraser after 20 years of research and development?you’d be curious, if not delighted to try to see for yourself the miracle at work. Both claims are intriguing in their own way, and there’s nothing wrong with both not wanting dangerous chemicals anywhere near your body, and desiring a bona fide wrinkle-eraser. Behind such claims, you would expect at least a grain of truth. The picture is much larger in fact. Skin care deals with physiology of the skin, which is a rather messy business and still an enigma in many ways. There is chemistry involved, there is also health, ethics, profits, beliefs... it is indeed quite complicated. It is not even simply that synthetic is not good and natural is great. If that were all, synthetic skin care would have long become history. Since that has not yet happened, nor will it any time soon, it would be useful to learn what is really behind that ongoing battle. In this article, I will focus on explaining what is the fundamental difference between natural and synthetic skin care, and how did the conflict arise. Once you have an understanding of how things work, making a choice becomes much more comfortable. Traditional wisdom has always had a strong hold on skin care, and until relatively recently it was its sole domain. The advent of skin care to an actual and highly profitable industry occurred in the 20th century, when economic, scientific and technological leaps forward created widely marketable goods of mass consumption. In a relatively short time, what used to be a small but consistent trade for pharmacists and herbalists over the centuries, became a highly industrialized commodity and the emphasis shifted over to marketing and wide distribution. Although every field of human endeavor has been affected and invariably altered by science and technology, the transition from compounded to an industrial product in skin care has severed the ties with tradition quite dramatically. 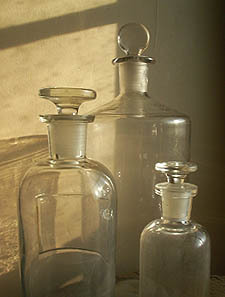 Whereas apothecaries and herbalists used plant and animal extracts and materials in variety of ways, new skin care focused on appearance of the product itself: it was homogenous, fragranced and preserved so it could ship far and last long periods of time, until it finally sold and was consumed. The emphasis on the visual appeal brought the focus even more to the actual packaging. Women were marching on towards consumerism, and catchy labels, names and bottles competed for their attention, and their wallets. The long history of skin care being exactly what its name implied, a method of caring for the skin, was almost lost in this exciting new world of opportunities. The shift was dramatic: from simply prepared products in apothecary bottles and jars that focused on benefiting the skin, skin care became pearly white, baby blue or petal pink blob of cream in loud packaging that benefited firstly and mostly shrewd business people. In order to better understand how this happened, we will need to explain some basics of the science of making skin care products, i.e. cosmetic chemistry. The 20th century brought more attention to the packaging and appearance of skincare products. 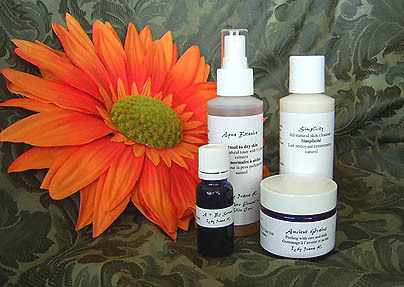 The basis for most skin care products is emulsion. Emulsion is a system in which oil and water (which do not mix), with addition of an emulsifier, are able to very finely disperse and create a uniform, milky structure, i.e. a cream. There are not very many examples of natural emulsions, but there is one intrinsic to mammals that everybody knows: milk. Milk can carry all vital nutrients for newborns exactly because it is an emulsion. Emulsions, being basically a contradiction (holding uniformly two unwilling phases), are delicate systems but also very powerful. As dual systems with oil and water phases, emulsions can have both oil and water-soluble ingredients dissolved in them, respectively, which no other system can. This factor of ingredients being dissolved in their base is crucial, since dissolved means biologically active. You could have the most powerful ingredient in your hands, but if you can’t find the way to dissolve it in your base, it is worthless. The skin also needs both oil- and water-soluble ingredients and their benefits are far and wide-ranging. Examples of oil-soluble active ingredients are vitamins A, E, D, essential oils, examples of water-soluble ingredients are vitamins again, B complex, C, also plant extracts, fruit acids, etc. All of this is biological; meaning, it explains the value good ingredients have in caring for the skin. However, there is another element to emulsions, or creams, that is no less significant and has been exploited far more than any other feature: emulsions are very pleasant on the skin and very well tolerated. There are two types of emulsions: oil-in-water (o/w) and water-in-oil (w/o). The first has a higher water content, the oil phase is dispersed in outer water phase, and this type is generally of a “lighter?texture, while the second has higher concentration of oil and is “heavier? To create a simplified image: when water is the inner phase, its tiny droplets are dispersed throughout the matrix of the oil phase, and the opposite, when it is the outer phase, oil is finely dispersed throughout the water structure. Water and oil must be finely dispersed to form an emulsion, so that the skin can utilize the nutrients effectively. This is an example of how water and oil do not mix on their own. You may have missed a component of an emulsion mentioned above, but without which there is no emulsion, thus no cream, thus no skin care. The emulsifier. There are very few naturally emulsifying agents in Nature. Of those that are available, even fewer can create emulsions stable over a longer period of time, meaning that the cream will not dissolve into starting water and oil. Of those very, very few by now, fewer will create emulsions that feel good on the skin, not tacky, sticky and yucky. And finally, even when you’ve found the ones that work, and some of them have been known forever, like Beeswax, Borax, Lanolin, Spermaceti (this one is illegal and unethical since it comes from whales but was used widely in the past), they will only produce the ‘heavier?type of creams, more like ointments, i.e. the water-in-oil emulsions, which have higher content of oil than water. This is where the trouble and the rift between natural and synthetic skin care occurred and turned such benevolent and private activity of caring for one’s skin into a battlefield of lifestyle, health and ethics. This is also where synthetic skin care took the lead easily. 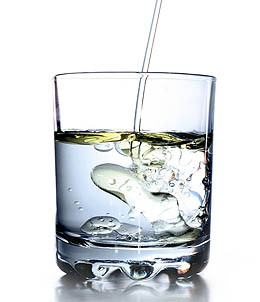 Synthetic emulsifiers, of whom there are very many varieties, are far superior to natural emulsifiers in their ability to bind high quantities of water with low percentage of oil and create stable and ‘light?emulsions. To make things worse, these synthetic emulsions didn’t feel badly on the skin at all, since as mentioned earlier, emulsions are such interesting constructions that they simply feel nice. Skin loves them. For instance, if you had a dry, rough-patched skin exhausted by weather or other harsh conditions, putting anything creamy on it would offer relief. How good the product really was became secondary; it still made an improvement compared to what was there before. 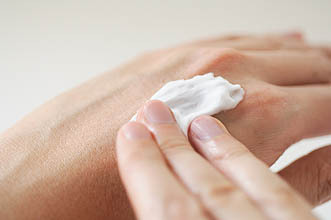 Even synthetic creams can have a positive effect on dry skin. But is it actually good for you? There is yet another aspect to emulsions, or creams, although not inherent or structural, which became prominent in conditions of mass production and global markets, and is in dire need of explaining: the preservatives. 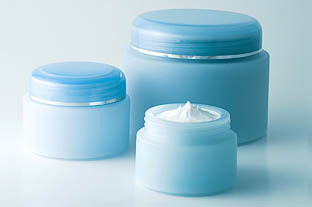 Preservatives are needed in creams because of the water content. 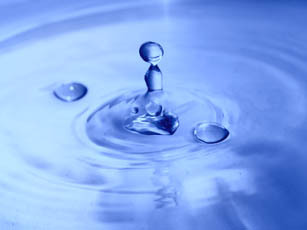 Water is the basis of all life, including microbial. While some microorganisms can exist even without air, water is in everything that lives. The higher the content of water, the greater susceptibility to germ proliferation. Creams do not need to be sterile (sterile-environment that is absolutely free of microorganisms of any kind), just as our food is not sterile, nor is water that we drink, but do require a low count of microorganisms. Creams are also used externally, on the skin, which exists in the real world, along with germs. As everything living will eventually expire, so do all creams have an expiration date. From the moment skin care products are manufactured, the countdown begins. Deterioration is slower in the product that is tightly closed and unused, and accelerates when frequently opened and touched. Without any preservatives, the creams would last up to a week, more or less, if refrigerated somewhat longer (in this, it is similar to a prepared food). Under the attack of both moulds and bacteria, and without preservatives, the spoilage happens quickly and inevitably. Healthy skin can tolerate this onslaught of microbes in an unpreserved product relatively well for a short period. However, skin that is having acne, or cuts, or is damaged and sensitized in any other way, is much more vulnerable and can react with infections to the cream with uncontrollable growth of bacteria and moulds. Nobody really wants to, or should be put in a situation where an individual’s skin is tested in these conditions. What that means is that preservatives are in fact necessary. It is important to distinguish what preservatives really do. They essentially go against time and natural processes for a while, until the product is either used up or spoiled, whichever comes first. This function of preservatives is achieved through their toxic effect on bacteria and moulds: they either kill them or prevent them from reproducing. This is not necessarily a benevolent action even for much larger organisms, like human bodies, because the way preservatives act is affect metabolic processes of microbes, and we all have metabolism, which is the factory that keeps us alive. 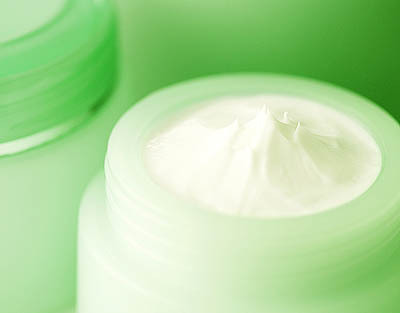 Although synthetic preservatives are more powerful, especially long term, than natural ones, it is only a matter of time before even the most synthetic cream will go bad. There is also a limit to how much of a preservative can be used, because, as mentioned above, they are not nice, not only to germs. Water is the basis for all life, including microbial. This is the second front where the battle between natural and synthetic skin care is being fought. Natural preservatives are much less toxic than synthetic ones or not toxic at all, but that also means that they can’t make creams last as long. In the old days, skin care products were prepared in smaller quantities, they didn’t sit on the shelf very long, and they had a lower content of water. By introducing synthetic emulsifiers, which created light creams with high content of water, a Pandora’s box was opened ?those creams couldn’t leave the manufacturing plant to go anywhere unless they were properly preserved. In the meantime, we’ve lost the apothecary on the corner where you knew everybody and went frequently to get your supplies, instead, we go to department stores, drug stores, skin care salons and boutiques to pick up creams that have been made far away and long time ago. Once the technology has come up with effective long-term preservatives for food (which found a wide application at the beginning of the 20th century), the next thing was to apply them to everything else pertaining to daily consumption. Long shelf life truly revolutionized the personal care industry and it allowed it to actually become an industry. These two conditions: the highly efficient synthetic emulsifiers which created light and stable creams, followed with synthetic preservatives that facilitated shipping those products far and wide where they could be stored for up to few years until they sold, was an offer hard to resist for many a businessperson. Synthetic chemicals were becoming cheaper and cheaper, the production process was quite simple, products were stable, and the money saved there could be spent on advertising and pretty bottles. Adding pretty young faces to campaigns raised the appeal even higher, well; really, the sky was the only limit. At the consumers?end, conditions were favourable: being courted by light, fancy looking creams in even fancier jars followed with suggestive posters and slogans, proved to be an irresistible bait. And that was not all; at first, this radical transition appeared revolutionary, innovative, simply better. Everybody was seduced by the industrial appeal, the rule of the day was: away with the old, we want progress. With less expensive materials being used in the creams, companies have more money to spend on other things, such as seductive advertising. Several decades have passed. The tower built in a hurry and so tall started to lean and crumble in places. That same unstoppable science had discovered in the meantime that the skin was actually not an impenetrable barrier between the body and the outer world, and that all those emulsifiers, preservatives, colours, fragrances, paraffin, stabilizers etc. were not just lubricating the skin, they were going in, who knows where, doing who knows what. At the other end of the spectrum, people found out that using synthetic chemicals in products intended for human consumption required testing for their safety, which was very good because chemistry has come up with some nasty stuff, but how was that testing done turned many stomachs and made quite a few people very upset. Again that impertinent science: there were now almost daily news about breakthrough findings that all those nearly forgotten plant extracts, natural oils, vitamins, various extracts from botanical sources, were indeed very beneficial and some had properties that were short of amazing. Those frustrated pharmacists and natural-oriented chemists who adhered to old traditions and kept on doing what they have been always doing, now stood up and started to advertise that natural is not only good, it is simply the best and only thing that should be put on the skin. The skin also spoke up: after decades of being exposed to who knows what, sensitivities, allergies, dermatitis and a slew of other reactions were on the rise and nobody could quite say what and how had caused them, because, remember, the science of human bodies is messy, but more and more fingers started pointing towards synthetic chemicals in skin care and cosmetics. Along with alternative health therapies, came individuals who suddenly remembered recipes their grandmothers used to tell them about, surfing the Internet and a number of how-to books helped along, and they were now making natural skin care products too. The Tower of Skin Care become the Tower of Babel, everybody was talking at the same time, swaying and pulling this way and that way, with cries of ‘scientifically proven? ‘dermatologically tested? ‘guaranteed results? ?00% natural? ‘organic? ‘miraculous results?.. coming through, causing utter confusion. The consensus that everybody seems to agree on is that natural is not only good for you but natural ingredients in skin care products is what achieves best results. That, however, created another problem, or two, three... Who is really natural? How natural are you? What is natural? What is this all about?! There is more, and from a different point of view: does synthetic skin care have better feel; does it do a better job of delivering active ingredients; does it mean that opting for a healthy alternative leads to being shortchanged for quality, both biological and sensory? Choosing your beauty products can be very confusing if you are not armed with knowledge. While the battle still rages on, has anything really changed? Remember how making a nice stable emulsion that felt good and wasn’t greasy on the skin was difficult with natural emulsifiers? That still holds, it is very difficult indeed, but difficult does not mean impossible. Similar goes for preservatives. Natural are few and hard to work with, but they are available nonetheless. Such natural creams could carry other natural ingredients and compete in the market with synthetic creams. In fact, they have been gaining ground. Those synthetic emulsions, at the other end, now come with loud claims of containing plant extracts, botanical ingredients, vitamins, breakthrough amazing wrinkle-erasers, as so-called ‘active ingredients? Which means that they added them to the basic emulsion formulated with reliable synthetic emulsifiers, preserved with reliable synthetic preservatives. Because of all that, the confusion has not receded; however, the selection has expanded tremendously. What was considered old and obsolete came to the forefront: visionaries who insist on and pride themselves with reviving ancient traditions have again opened the doors, this time in style, to skin care made of natural ingredients. And so has skin care come a full circle. It is certainly not what it used to be, we have all gotten a bit wiser and a great deal more demanding. Today we have natural skin care that is utterly modern and synthetic skin care that borrows from the old, and everything in between. Today we have more formulations to choose from than ever before. Where does the difference lie today, or, is there any difference at all? If you have everybody, from a drugstore brand to the most exclusive luxury skin care line claiming that they use natural ingredients, the fact of the matter is that they do. It would be not only unethical but also against the rules and regulations to claim that you use ingredients that are not actually there. How much they use, what quality etc. is their proprietary information, and we can’t know that for sure. Mind you, using a drop or a bucket of the same ingredient will give a very different product; that is simply common sense. However, that is still not where the fundamental difference is. We now know that natural emulsifiers can create nice creams. Natural preservatives will make them last long enough, within reason, to be used up safely. Natural oil phase means using natural vegetable oils and waxes instead of petrochemicals and the derivatives. Whereas active ingredients get most attention, insisting on who is the best, most concentrated, effective, organic and so on, it is that basic emulsion, which holds everything together, that makes the product natural or synthetic. It is also the one responsible for the absorption into the skin, and how that product feels; in other words, because of that basic cream you either love or hate what’s in the jar. The basic emulsion is not only the foundation of your product; it is the actual house. And one built with bricks couldn’t be called a stone house because of a little bit of a decorative finish at the end. And there you have it: natural and synthetic skin care are fundamentally different. In the end, it is not about who uses more or less of the current star ingredient - as we have seen in the recent years, everybody uses the same popular ingredients - but it is where they put their ingredients that matters. Although the search for the ultimate skin care, whether by purity of its ingredients, or effectiveness, is nowhere near finished, there is one quiet winner after all: Nature. Chemistry has also grown up. From inventing things, spoiling too much in the process, messing up, then cleaning up, it has reached the level where it simply makes things easier for the natural way of life. It is Science in service of Nature, and Nature that supports Science. A need to care for one’s skin is as fundamental as everything else is in a healthy lifestyle. Living the best life possible is a commitment worth pursuing, even through the treacherous grounds of the great divide between natural and synthetic skin care. ?font face="Book Antiqua"> Ivana K.
Cosmetic Chemist and Founder of I2 by Ivana K.